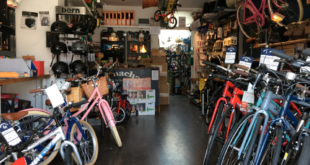 This article was first posted to our bulletin board by bike-trade website designer Simon Watts in response to a news story on a non bike trade company who claimed they guaranteed getting you in the top end of any search engine search. I refer to the article titled Ramp Up Your Search Engine Ranking in which a single company offering guaranteed results was featured. I found their claims highly questionable and extremely pricey. Search engines, in my experience, will at best provide a site with about 20% of its traffic and the claim that 7 out of 10 internet users use them to find products or services is probably a little exaggerated. True, there are millions of search engine queries made each day but most are repeats by the same user trying to redefine their search because their original search proved too loose. On the small number of occasions I have used a search engine I have found their results too varied to yield a positive result and have subsequently tried alternative methods. They come into their own however when searching for more specific things like company websites where the name of the firm is known. Even then they still throw out some spurious results which appear to have little to do with the original query. BUT if you do feel that you have to place a great deal of importance upon search engine registration and positioning, I may have some information which could potentially save you the £1435 per annum quoted by the article. This may get a bit techie for some of the readers of this board but should be a great use to any reader who manages their own website and does their own site promotion. Firstly you need a basic understanding of how a search engine works. 3. It then sorts and orders all matches in order of importance, giving a top place to the best match for the search criteria given to it in the first place. How the final listing is created is key to cracking good placement. There are ways to gain higher placings and mistakes which can cost you placings. 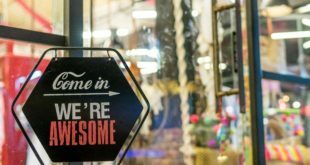 All in all, it can be a bit of a minefield but if you follow some basic rules you should be able to gain meaningful placements without a great deal of effort. What I intend to do is to run through the dos and donts of getting your site ready for registration. To do it you will need to understand the basic principles of where the search engine gets its information from within your site and how to structure that information in a way which will yield the results you require. The key elements within your site are the META TAGS. These are hidden pieces of code which reside inside the html for your page (hidden because they are not visible on the screen when viewed normally through a browser. Listed below is a set of tags taken from one of my own sites which I will use to try and explain how the meta tags function. Chevin Cycles, Otley, UK. Bikes and accessories for connoisseurs. As you can see there are a number of tags but not all are necessary for search engine placement and listing. Some are there just to carry document information and copyright notices etc. What may surprise you is the fact that the keywords tag is the last to be checked! The title of your site is doubly important because it is actually displayed in the browser window, in the top blue bar. You title should contain a very brief description of your site/services and your company name. If possible it is very wise to incorporate your most valuable keywords into this title. So in the example above the keywords are Chevin Cycles, Otley, UK. Bikes accessories This is hopefully also what is used by the search engine in its results display as the title for your listing. If you ever wondered why some search results yield perfectly readable descriptions and yet others just read gobbledegook, then it is the inclusion of the description tag that makes the difference. The description tag gives you a little more space to describe your services and featured products, and should include a few more important keywords. Dont worry if you repeat words used in your title, but word your description well and it can make a big impact. Realistically you have about 250 characters to play about with. Despite the keywords tag being the last to be searched it is still very important. It allows the engine to fill in the holes left when somebody searches for a more complex phrase or set of words. Here you have the chance to include a large number of words, and even throw some wildcards in for good measure. BUT the secret to good keywords is in the structure. To explain you need to think how you would be likely to type keywords into a search engine, eg Marin Bikes, rather than Bikes Marin. Get it? So if you structure your words correctly you should be able to read along the line of words and make correct phrases up as you go, so brand names take higher priority than general words, styles take lower priority than brands but higher than loose words. You will score a better result if under a perfect test where 2 sites were listed against each other and your words matched in order but the other site matched the words but out of order then YOU would score the higher result. Hopefully that made sense. It may make more sense if you read through the keywords in the example above to see what I mean. BUT there are dangers lurking in the waters with keywords! NEVER repeat a word more than 3 times, it is considered spamming and reduces your match score. NEVER use a competitors trading title in your keywords in the hope that you will get some of their customers, if caught you could be sued by the trading name owner you spammed. Some search engines only list the first 10 words in your keywords so it becomes even more important to make sure that your title and description are right! There are other tags which also relate to search engines but will not improve your ranking, they just help the search engine to actually add you to their database. They are the robots and the revisit-after tags. Your site will generally be inspected by an electronic virtual robot when you request your site to be listed. This process is called spidering. The 2 tags listed above affect how that robot spiders your site. So the robots tag can have 4 different contents; index, follow index, nofollow noindex, follow noindex, nofollow. To explain, index tells it to list the page in the directory, noindex tells it not to! Follow tells it to follow the hyperlinks in the page, nofollow tells it not to follow. Get it? If the robot tag is not there it is assumed by the robot that it should index, follow. The revisit after tag simply tells it in days how long it should wait before coming back to spider the site again. Figures of less than 30 rarely have any effect, and the number should be set to somewhere between 30 and 90. So now youve got your tags done, you need to ensure that your page is search engine friendly. Again there are tips that you might like to follow and which should help improve your site listing. Never place an external or absolute hyperlink on your opening page (ie index.htm) The robot will follow your external link and list the site you linked to, increasing its importance and reducing yours. It works in the basic way that if you feel another site is worthy of a place on your index page then your site cant be that important! But theirs must be! Never use a frameset page for your index page. Search engine robots dont particularly like frames pages and give higher placements to pages which are standalone. Try to keep the text carried in the first 30 words of your index page similar to those used within your description tag. They neednt be identical but they should again be relevant to the content of your site, not just Joe Bloggs Bikes has been in blah for 199 years and is still under its original owner. With the emphasis on service and customer care we like to say we are the best in our field. The reason? Some search engines ignore the description tag and take their own description from the first bits of text on your site. So that text needs to be relevant to any search query. If you have no text on your index page and just use a logo click here to enter set up, then you must ensure that you place an ALT TAG for the image involved. An alt tag is the bit of text that is displayed when you hover your mouse over an image. Search engines class alt tags as normal text on the page and as such will take that text to use (if the case is as above) The pitfall is dont just put Click here to enter! So make your alt tag like a description tag. If you use frames for your site, make sure you place the metatags into the frameset page itself and not just into the held pages. I would also suggest that you use the index, nofollow command on you frameset page to avoid pages being listed which would mean nothing out of the frameset! In terms of the arguments for and against frames and noframes, I have to concede that you will get more of your pages listed if you dont use frames, hence it becomes even more important not to start your site on a frames page. Make them enter your site through a static page, then you at least get 2 pages listed. I could go on and on, there are far more tricks, BUT if you follow the basics you should still be able to get meaningful results without a great deal of effort. Get it right first time, and maintaining your listing isnt that hard. The thing to remember is that NOBODY CAN GUARANTEE YOU PLACEMENTS because every search is different. A service like the one in the article may score you big hits on 10 words, but that is all. It will not get you results outside of those words and will certainly not give you value for money. I often giggle when people tell me that they get 20000 hits a week, but for what, do they get 20000 customer orders or 20000 flying visits because the site didnt yield the result the person was looking for. I would honestly say you would be better to spend your £1435 publicising your internet address via better means. Printed mags, new signage for your van which includes your URL, paying for a listing in a specialist listing like bikemagic etc. It is not money well spent just to get hits from all over the world. The busiest sites are those which advertise their address outside the web,via TV, newspapers and other printed articles, and by the simplest of methods like the yellow pages ad. Plaster your URL wherever you can, this will get you far more valuable hits than ever a search engine will. People who deliberately type in a URL are far more likely to buy from you or use your services than those who surf on in from a weak search engine result. I would ask you one final question. When did you last use a search engine, gain a satisfactory result AND make a purchase? Not very often is it compared to how many links you will have followed from those very same engines. Just remember that the kind of analysis being offered pumps in your 10 keywords and sees where you come out. It doesnt look outside your words to see where you feature then, it cant do because there are too many variables. Fine, score a top ten result for your chosen keywords, very satisfying, but think of how many products and services you sell, and then try to decide which 10 to use! Better spend that money elsewhere and do a realistic job yourself, which might or might not get you a top ten result. Most of my sites appear in the top10 for one search or another, but I havent had to charge excessively for that service, nor would I because I know full well that I cannot guarantee those results. "I’m sorry to inform anybody of this, but I am no longer going to impart valuable [search engine] information for free, because it is becoming too valuable to my clients who actually pay for my service. The above article was done in August 2000 and things have moved on rapidly since then. "If anybody is interested in achieving similar results then I am available on a consultation basis. You needn’t have me to do your site, I’ll just take your existing site to pieces to analyse your it as it stands and then give you a full written report informing you what you should ask your own designer/developer to do to get the results you need. If of course your own designer/developer chooses to question any of it you can make your own assumptions as to their ability. You can of course choose to ignore my suggestions/recommendations and carry on as before." Previous Concepts turnover jumps. Again.